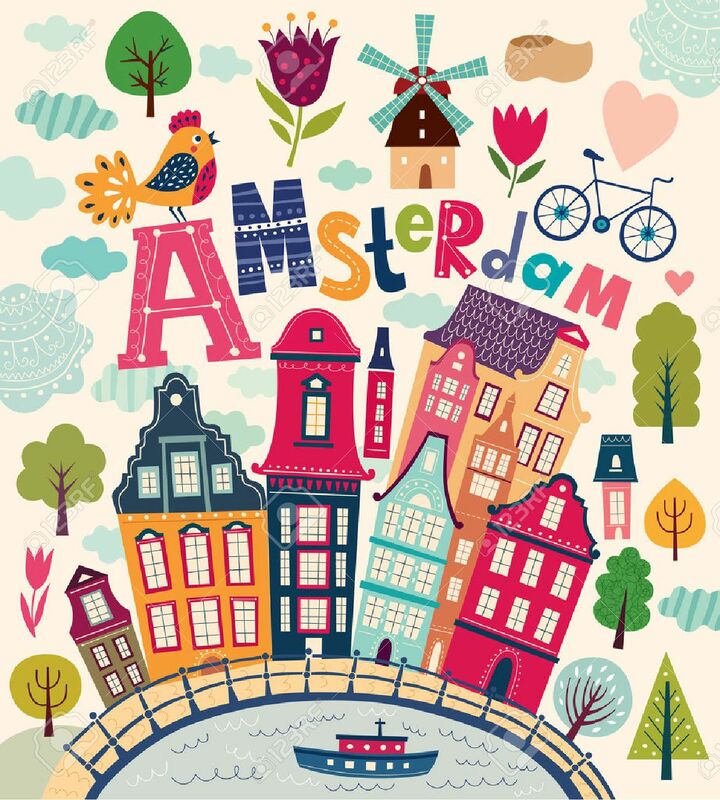 Bright Stylish Vector Illustration With Amsterdam Symbols In Cartoon Style. Netherlands Vector Symbols Royalty Free Klipartlar, Vektör Çizimler Ve Stok Çizim. Image 41984683.